Best price & quality guarantee. Do you want to add living space to your home? Would you love your own office or gym? 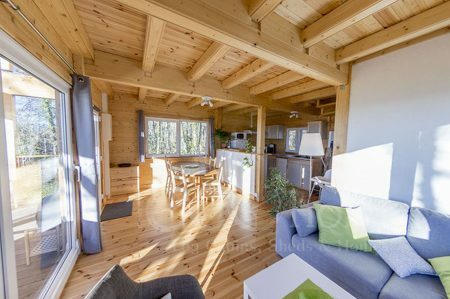 One of the best ways to expand your property and enjoy eco-friendly living is with a premium log cabin from Eco Home Log Cabins. 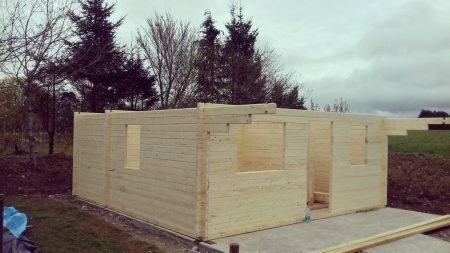 We are one of the leading quality log cabin suppliers in Ireland, with a range of standard and custom log cabins that you are going to love. Log cabins offer endless possibilities. That is why there is a growing demand across the country. 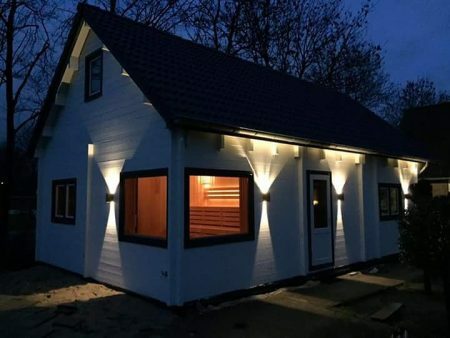 If you are young and want a more cost-efficient way to purchase your first home, a log cabin is going to be the answer. When you work from home and want to create an idyllic office for your business, a log cabin is just what you need for your own space. 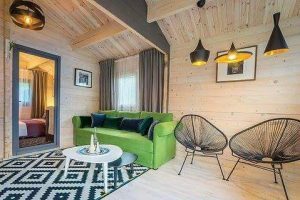 Perhaps you want to start your own AirBnB or rent holiday homes to visitors coming to Ireland; a log cabin is going to be welcoming, charming and fun for everyone. It does not matter whether you are looking for a home or an office space, a log cabin can completely transform your property today and open up a whole new world. 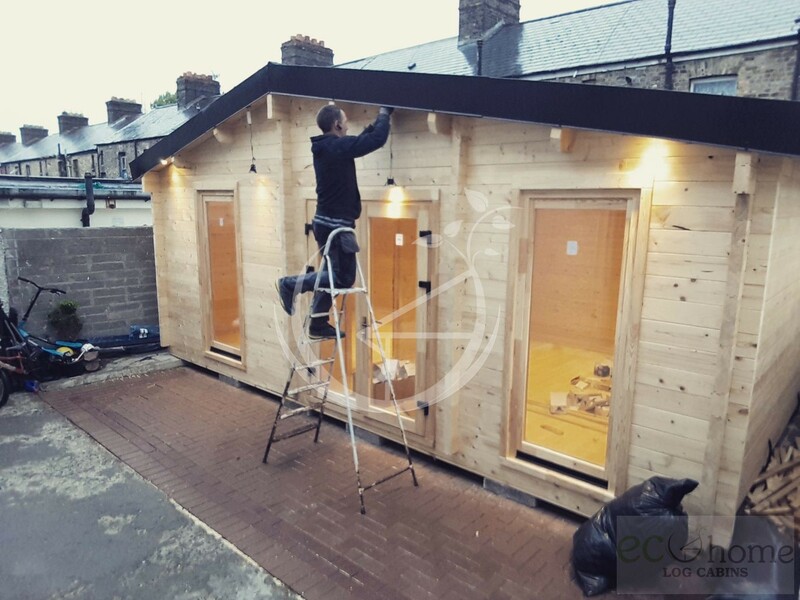 At Eco Home Log Cabins, our goal is to provide you with standard and bespoke design log cabins that suit your needs and offers great value for money. 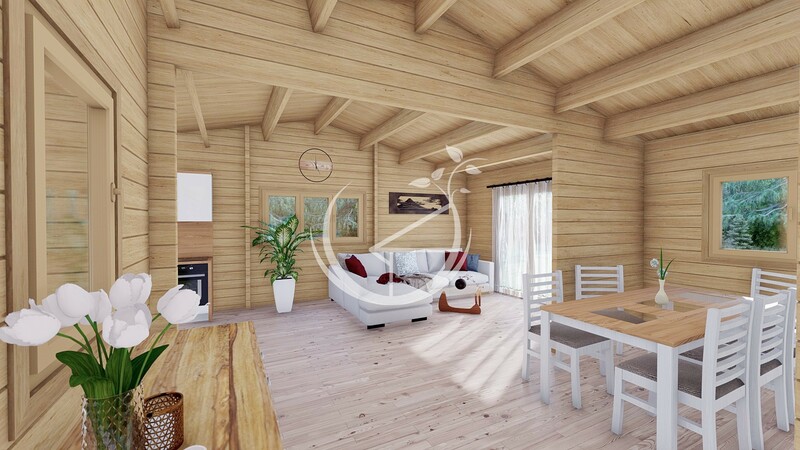 Made from quality Scandinavian spruce, our premium log cabins are built to last and you can even build them with your family or have a professional construct your new home for you. It only takes a matter of weeks to construct your log cabin from start to finish, including the time it takes to choose and prepare all of the panels ready to deliver. There are unlimited advantages when it comes to choose a log cabin over traditional brick homes in Ireland. In particular, they are eco-friendly and cost efficient, which is becoming particularly important to customer’s in today’s ever-changing world. You can now enjoy the best of both worlds; expanding your property and looking after the environment. Log cabins are proving to be a fantastic investment for homeowners and business owners, lasting for as much as 100 years. What’s more, their value is increasing year by year. Would you love to have a log cabin? You can choose one of our standard and premium timber homes and spaces from our Eco Home Log Cabins website today. If you have specific needs and would like to have a personalised design, we can also help you create the dream home that you are wishing for. We can make your dream a reality by creating a bespoke design log cabin just for you. At Eco Home Log Cabins, nothing is impossible and we enjoy you to explore the world of log cabins today. A lot of people want to know about the advantages of log cabins before they invest in one. Well, our timber houses at Eco Home Log Cabins are specially designed to be eco-friendly. We want you to be able to enjoy green living, which is why we use natural wood and healthy Scandinavian spruce for our log cabins. It has never been easier to reduce your impact on the environment in a positive way and still enjoy expanding your property. 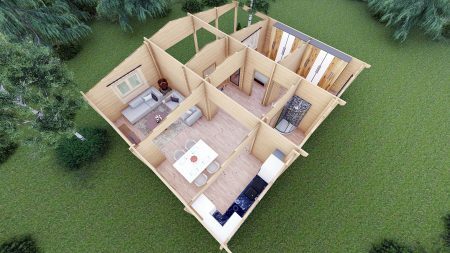 Since all of the log cabins are delivered to you in a flat pack kit and the panels are pre-cut and ready to assemble, there is no waste at all from your new project. Log cabins really are a fantastic way to use and preserve natural resources. What’s more, we can make your log cabin even better for the environment, with extras such as solar panels when your new timber home is constructed. With a log cabin from Eco Home Log Cabins, you can save money without sacrificing on the quality of your new work or living space. 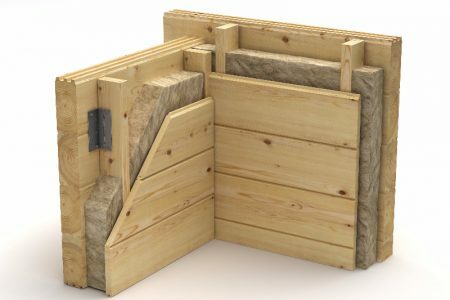 With the DIY flat pack, your new log cabin is easy and quick to build, which means that you can save money on labour costs. It is well known that log cabins are a lot more affordable to build than brick houses in Ireland. For example, we have found that our quality log cabins are two times cheaper per square foot or square meter than a brick house. This means that you can get more for your money and enjoy living or working in a bigger space to suit your needs. We make sure all of our customers, whether their log cabin is standard or custom made, received premium Scandinavian spruce. Not only are our log cabins eco-friendly and cost efficient to build, but they are also eco-friendly and cost-efficient to live in. Timber is a material that can naturally hold heat, which means you are going to spend less on heating bills. In addition, it is a breathable material that is going to stay cool when it is hot outside too. We use Scandinavian spruce because it is a durable and reliable material. It does not rust and it can deal with extreme weather conditions incredibly well. Timber really is one of the best materials you can use to build your dream home. When you are building a new work or living space, you don’t want to have to wait months to enjoy it; you want it now. 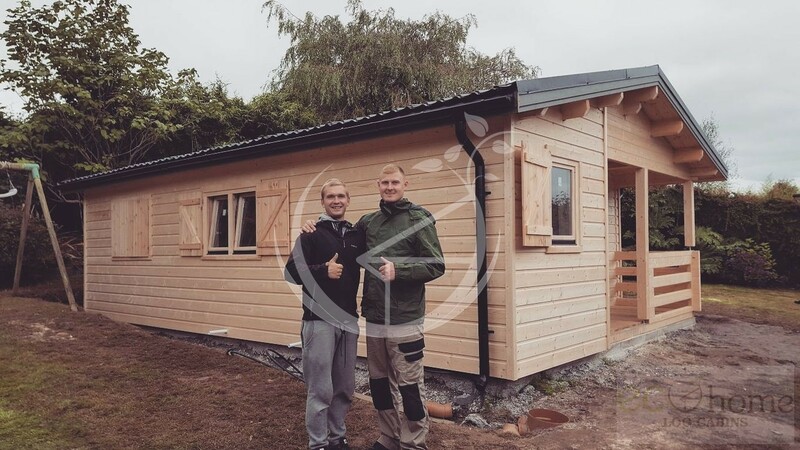 We share your excitement and that is why at Eco Home Log Cabins, we make sure that you can enjoy your new premium log cabin as soon as possible. It is common for bricklaying to take a while. But when you build a log cabin, it only takes a matter of days to be ready to move in to. In fact, it only takes around one to six days to complete an average size project, whether it is a garden log cabin or even a three bedroom timber home. It really is that simple to get started on the property of your dreams today. What families love about our log cabins is that they are delivered in a flat pack kit. This means that you can build your very own special log cabin. It can be a family project that you can build together, with detailed and instructive DIY plans included with every flat pack kit. You do not have to be a professional to construct your log cabin; all of the steps are simple to understand and there are minimal tools needs for construction. What’s more, there is no mess afterwards either; problems with cement, sand and dust is a problem of the past. If you decide that you would like help building your log cabin, our team at Eco home Log Cabins can assist you. Our friendly and professional team can come to your home and assemble your log cabin before you know it so that you are ready to move in. In addition, we can help you with the electrics, plumbing and creating a concrete base or timber frame foundation. We make the journey exciting and as simple as possible for you. While our log cabins are quick to build, we make sure that they do not compromise on quality. In fact, our log cabins will last for many years and look as good as new. Timber is an excellent building material to use for a home, commercial building or garden cabin since it is durable, strong and protective. It will be able to withstand the elements of Irish weather and there is little care involved too. Similar constructions made from Scandinavian spruce have stood for over 100 years. Our team at Eco Home Log Cabins knows the industry inside and out. We are experts when it comes to log cabins, with years of experience and an excellent reputation in Ireland. You can read our previous customer reviews on Google and across different social media platforms, such as Facebook, and Instagram. 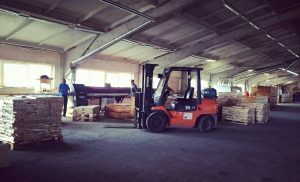 The team are friendly and knowledgeable, which means you can ask any questions that you have and make sure you choose the right log cabin for your needs. 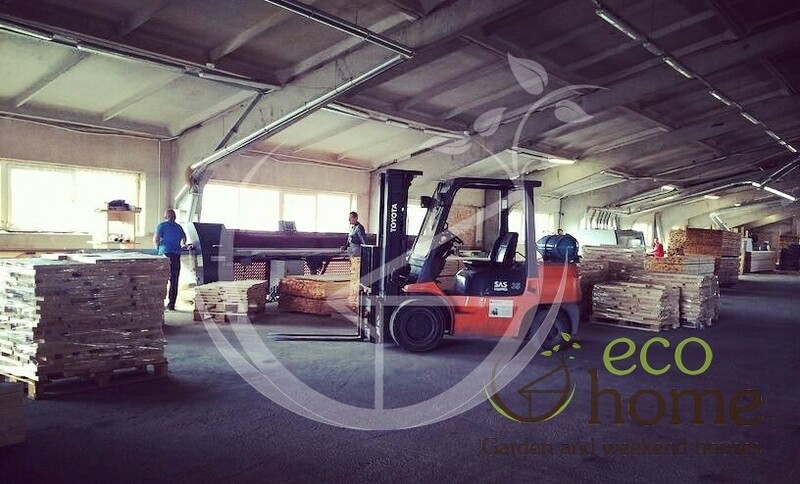 At Eco Home Log Cabins, quality is very important to us. 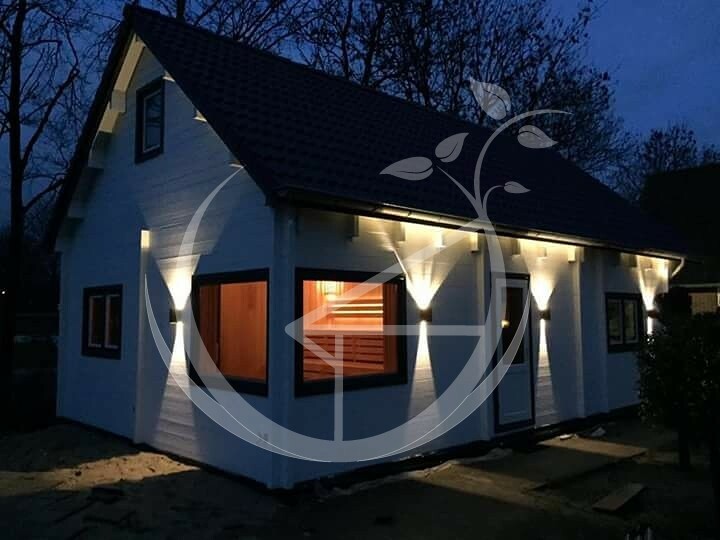 That is why it is our aim to provide premium log cabins to our customers, but that are also going to be the best value for money. Log cabins are an investment and when you chose a premium option, you can expect it to last for many years. It does not matter where you are in Ireland, we can find you the perfect log cabin and delivery nationwide. We are based in Tullamore Co. Offaly and cater specifically for the Irish market. If you are from overseas, still send us a message and we can discuss how we can accommodate your needs. If you are interested in finding out more about log cabins and need advice on which one will be the best for you and your family, our professional and approachable team at Eco Home Log Cabins can help you today. Factory direct. High standards. Top quality scandinavian spruce. 40% warmer than a brick house. 100% friendly for Irish climate. Best price & quality guarantee. Free delivery. Do I need a planning permission for log cabin?